Gold A & B Nutrient - A complete liquid fertilizer and easy to use. Suitable for all substrates and irrigation systems GOLD A + B uses the best components together to form the most complete NPK basic nutrition. 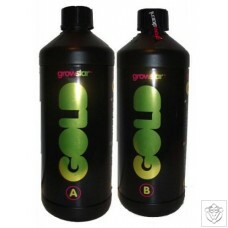 Use GOLD A + B every time you water, from the beginning of the growth period until the end of the flowering period. GOLD A + B Dosage: 2-4 ml per liter of Water The best results are achieved when GOLD A + B used in conjunction with: GOLD C, GOLD EXCELERATOR and PH Down. GOLD C is suitable for all substrates and is suitable for all drip and sprinkler systems. Use GOLD C growth and flowering stimulator every time you give water, from the beginning of the growing period until the end of the flowering period GOLD C Dosage: 2-4 ml per liter of Water. The best results achieved by using GOLD C STIMULATOR in combination with GOLD EXCELERATOR. 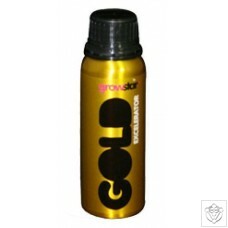 GOLD EXCELERATOR is a root stimulator with a very high concentration, making it very economical to use. GOLD EXCELERATOR creates explosive root growth and is suitable for all substrates and for all drip and sprinkler systems. 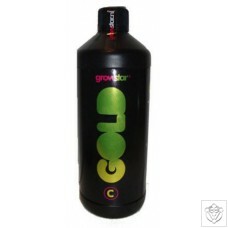 GOLD EXCELERATOR is made up of: Auxins, amino acids and trace elements. These elements are all produced from high-quality algae extracts. Usage: This root stimulator is given the first two to three weeks each time you water.